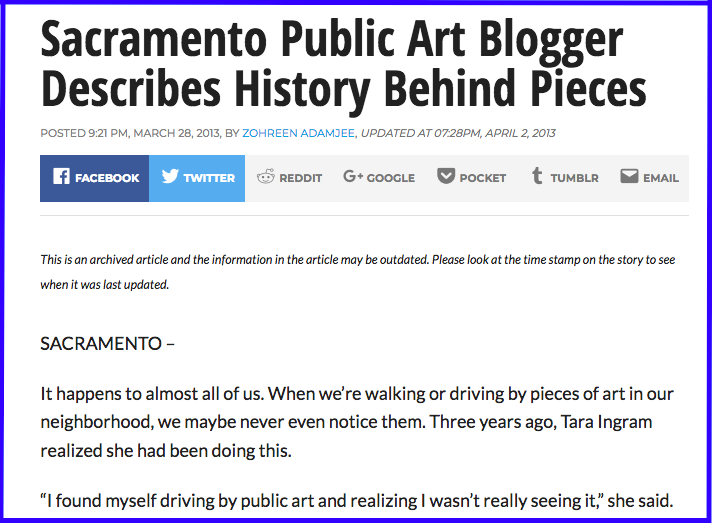 SacPedArt is in the news! For those of you who don’t yet follow us on Facebook or Twitter, you may not have heard that we were featured on Fox40’s ‘Know Your Neighbor’ series on April 27th. What a treat to share public art with a larger audience! You can see the video of our live news coverage here.